Fadil El Ghoul, better known by his stage name R3hab) is a Dutch DJ, record producer and remixer. A globetrotting Dutch-Moroccan talent hailed by the likes of Forbes and Billboard Magazine as the future of his craft, Fadil El Ghoul has taken full control of his sound and presence over the last 7 years, garnering hundreds of millions of streams across the board whilst continuing to hold a staggering presence on the global club circuit, all without a formal record label to lean on. He is currently placed at #12 on DJ Mag’s Top 100 DJs list for 2018. 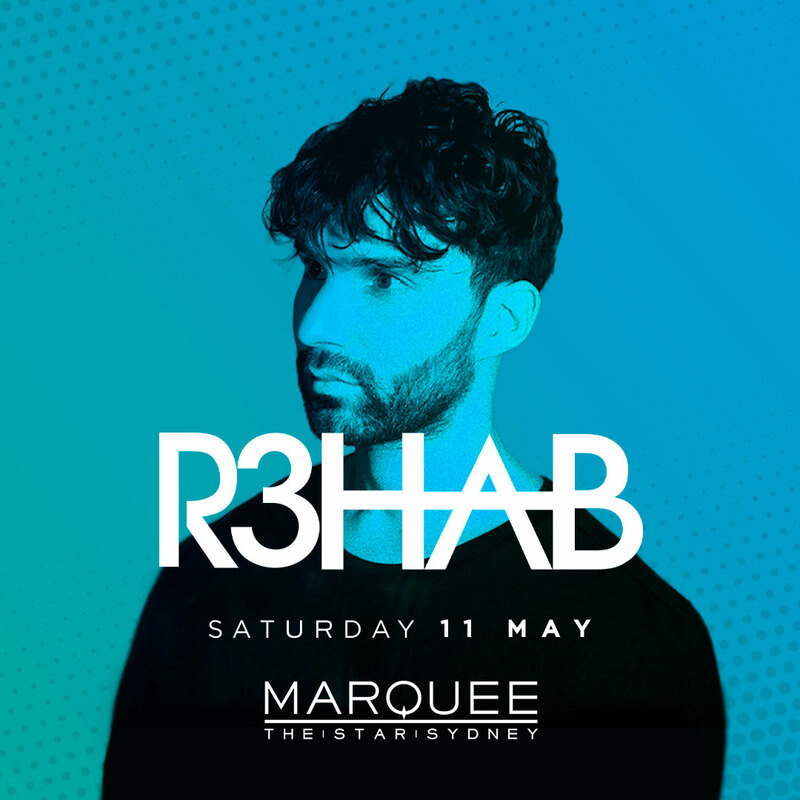 In 2017 he founded his own record label ‘R3HAB Music’ and released his debut Album ‘Trouble’. In March 2018 ‘R3HAB Music’ was renamed ‘CYB3RPVNK’. Pre-sale ticket purchases are strongly recommended to avoid capacity issues and ensure express entry. Entry is subject to capacity, dress code and management reserves the right of entry. A current Australian driver’s license or passport is required. Identification must be valid (not expired).